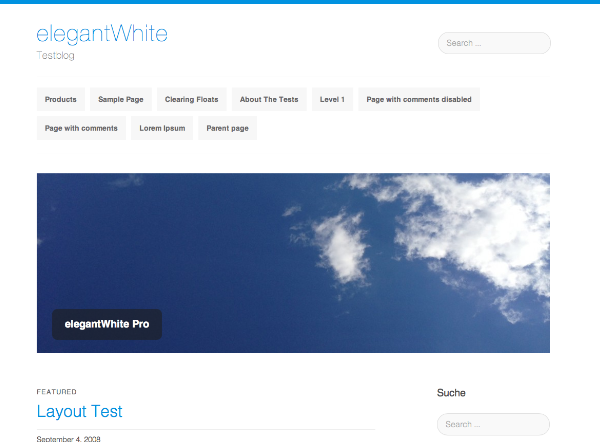 elegantWhite is an awesome Theme for your blog. It has lots of great features like post thumbnails or custom menus in Header and Footer. Also, it is completely optimized for HIGH-RESOLUTION Displays. In addition, it contains a full-width-template and a template without heading. The theme supports two languages at the moment: English and German. elegantWhite looks beautiful on any device. It’s the best theme, we’ve ever made. You will love it! PS: And for those loving this theme – there is also a Pro-Version (elegantWhite Pro) with even more features and a responsive layout! Visit our website to get to know more about it!